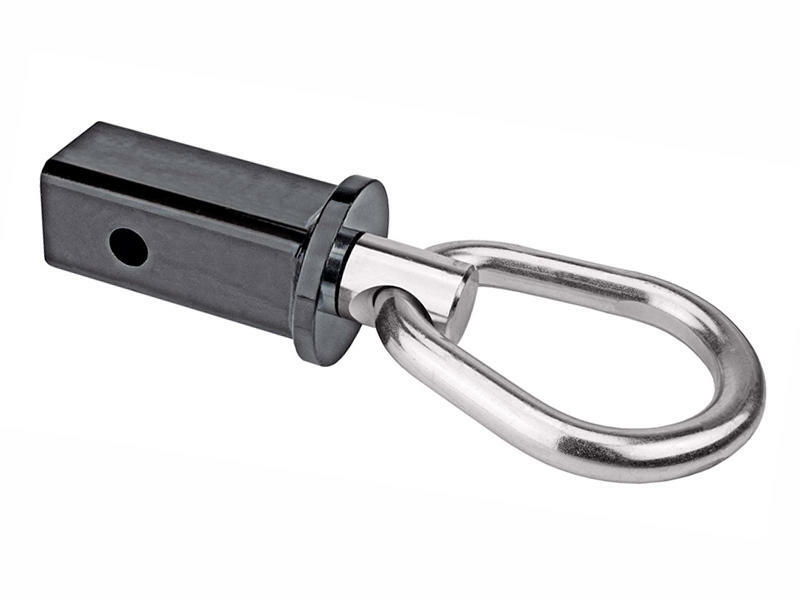 Universal trailer hitch tow ring for 1-1/4 inch receivers. 180 degree pivot, 360 degree rotation. 3,500 lbs capacity in any direction. For multi-purpose off-road vehicle recovery and utility pulling and hauling. Safe and effective recovery for multiple vehicle types in unique angle or elevation situations.